(SAUK CENTRE, MINNESOTA, August 20, 2018) – Felling Trailers Inc., a national leader in industrial and commercial trailers has hired Jason Worley as the new regional sales manager for the southeast, effective immediately. In this role, he will be responsible for all sales development, activity and dealer support within Tennessee, Louisiana, Mississippi, Alabama, Florida, Georgia, South Carolina, North Carolina, and Virginia. As the regional manager for the southeast, Worley’s primary responsibilities will be to achieve region market share objectives with the existing dealer base and develop new dealers in the assigned territory providing training and product support. Jason will be taking over the southeast region once served by Nathan Uphus, who recently accepted the role of Sales Manager for Felling Trailers. “We feel Jason will play a key role in the continued growth of the Felling Trailers brand in the southeast region,” said Nathan Uphus, Felling Sales Manager. 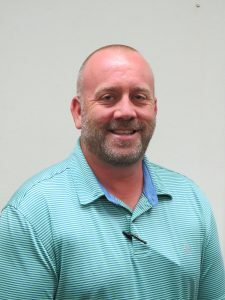 Worley brings several years experience in the underground HDD equipment and environmental products industry where he held the role of a territory manager. As a territory manager, he oversaw multiple county territories and managed his areas with a strong focus on equipment sales, product support, education to customers, and their work crews. Worley is glad to be part of the Felling Trailers’ team. “I have worked with Felling in different capacities over the years, and have come to know their trailers as one of the best in the industry. I am excited to work with the people at Felling and the Felling product lines,” said Jason. “Jason has a lot of industry/product knowledge, and I believe he will be an asset to our Team as we continue to grow our market share in the southeast and the underground utility markets,” said Patrick Jennissen, Vice President of Sales and Marketing at Felling Trailers. For more information, visit www.felling.com or call 1.800.245.2809. Felling Trailers is a family owned and operated Full Line Trailer Manufacturer located in Central Minnesota. Started in 1974, Felling Trailers, Inc. has grown from a small shop to a factory and office complex that today covers over 260,000 square feet. Felling’s pride and differentiation is its customized trailer division. Its engineers utilize the latest Industry-leading design techniques, and its experienced metal craftsmen use cutting-edge technology to turn its customers’ conceptual trailer needs into a tangible product. Felling has been providing innovative trailer solutions to the transportation industry for over 40 years. Felling Trailers’ current capabilities allow them to provide a high-quality product that is distributed across North America and internationally. Felling Trailers, Inc. is an ISO 9001:2015 Certified Company. For more information, contact 1.800.245.2809, sales@felling.com or visit them on the web at www.felling.com. You can also follow them on Twitter (@FellingTrailers), Facebook (Felling Trailers, Inc.), and Pinterest.